This event will launch the conference, What's Out There Weekend Toronto, and the What's Out There Toronto Guide. The evening will also honor the tremendous efforts by students and faculty at Ryerson University, who have done extensive research and produced entries for the What's Out There database, the inaugural site outside of the US. Finally, the evening will culminate in the presentation of TCLF’s Stewardship Excellence Award to an individual, group and/or organization that embodies and promotes sound stewardship of the city’s landscape legacy. 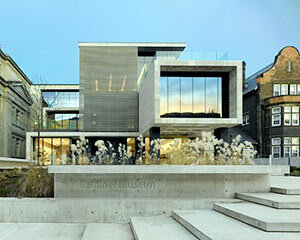 In its eleventh year, this annual party hosted by ERA Architects will take place at The Fermenting Cellar in the historic Distillery District. The restored red brick, Victorian-era complex that once housed the Gooderham & Worts whiskey distillery is now an exciting destination with more than 70 cultural and retail operations. Join us for free delectables, cash bar, and a lively crowd of people passionate about design and democracy in Toronto. Admission is FREE but registration is required. 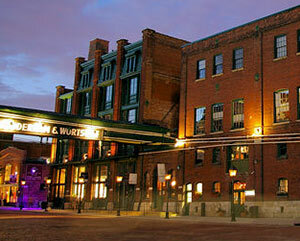 Late afternoon tour and twilight reception in the BMO Atrium at Evergreen Brick Works. 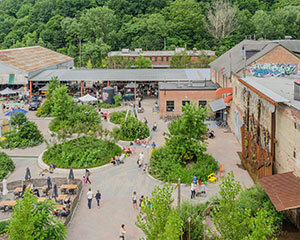 The former Don Valley Pressed Brick Works Company, which produced bricks that built many of Toronto’s landmark buildings, is now a global showcase for green design and urban sustainability named one of the world’s Top Ten geotourism sites by National Geographic. 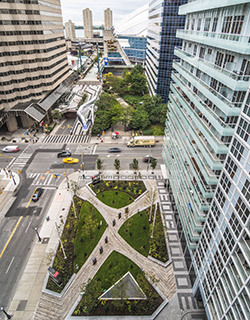 FREE, expert-led tours of over thirty designed landscapes (held in conjunction with Doors Open). The What’s Out There Toronto guidebook will be 60-70 pages in length with text and full-color illustrations of all the tours sites.